Listen Up! 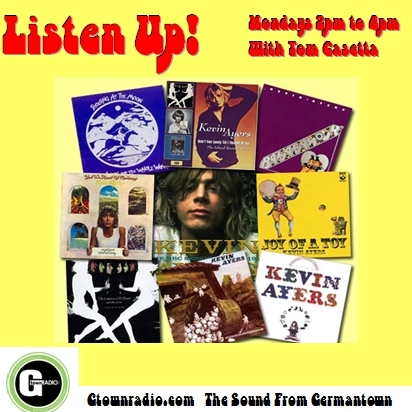 pays tribute to Kevin Ayers who passed away last week. As a founding member of Soft Machine , Ayers was a key figure in the birth of British pastoral psychedelia that emerged from the Canterbury scene , and then went on to enjoy cult status with a solo career in the late 1960s and early 70s. We will hear selections from his much loved recordings and collaborations. Streaming live from 2-4pm EST. Kevin Ayers -This Song Isn’t Called Anything – What More Can I Say -197?